Marketplace Bundle Product Module for Magento 2 : Product bundling is a marketing strategy where a seller combines multiple products and offer the bundled items as one product. Marketplace Bundle Product Module for Magento2 allows the sellers to create bundle product for their store. The sellers can add customizable options and set the input type as checkbox, drop-down, multi-select, and radio button. The customers can select the items of the bundle product and enter the desired quantity. Simple and virtual types of products can be added to a bundle product. Shipping for bundle items can be done either together or separately. 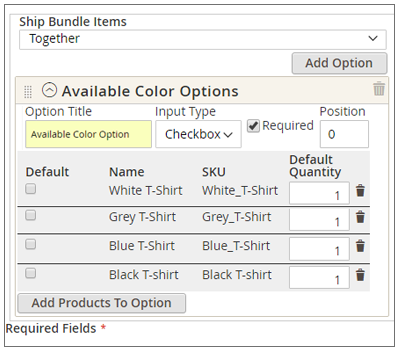 The admin needs to select the Product Type for Seller as Bundle Product from the backend options. The sellers can then create bundle type of products from the frontend. The sellers can create any number of bundle products. 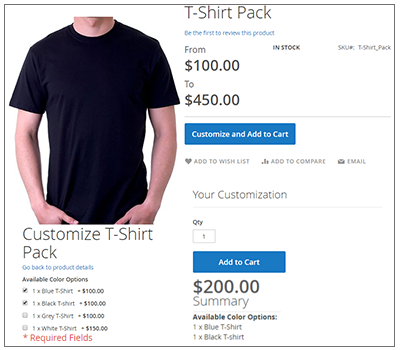 The seller can create bundle product using simple and virtual types of products. 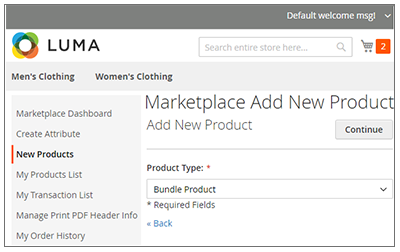 The sellers can add, edit or update, or delete bundle products. The seller can fill in the basic product details such as name, description, stock, images etc. It can also add meta elements for the bundle product. Dynamic weight and Dynamic price can be set. Shipment can be set as either Together or Separately. Various customizable options can be set for the bundle product. The custom product options title can be set for user selection. Available input types such as - checkbox, multi select, radio button, drop-down menu. Default quantities and positions can be set for the items. An item can be preselected by the seller. The customers can view the bundle product like any other products. They can customize the bundle product according to their need. The customer can view various available options and do the selection. It can also view the summary of the items selection. It can enter the desired quantity for the bundle product. Did you buy Marketplace Bundle Product Module for Magento 2?